I have been hearing a lot about the Oxford Bread Group recently. I wish that I lived a little nearer Oxford so I could participate in some way in this wonderful venture. 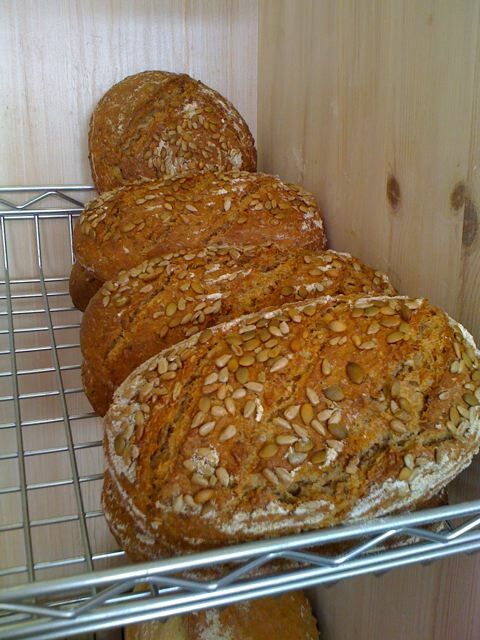 Lets hope that they prosper and more of this wonderful heritage grain becomes available for us all to bake with. Here is a quote from their website, to find out more please click on the link above. Sept 2013 Edit: The Oxford Bread Group has now ended so I have removed the link as it doesn’t go anywhere. Andrew Auld’s bakery the loaf at Crich’s bakes his version of this multi seeded bread recipe regularly. The bread list there is constantly evolving. I wouldn’t need to bake if we had a bakery like that one round the corner!